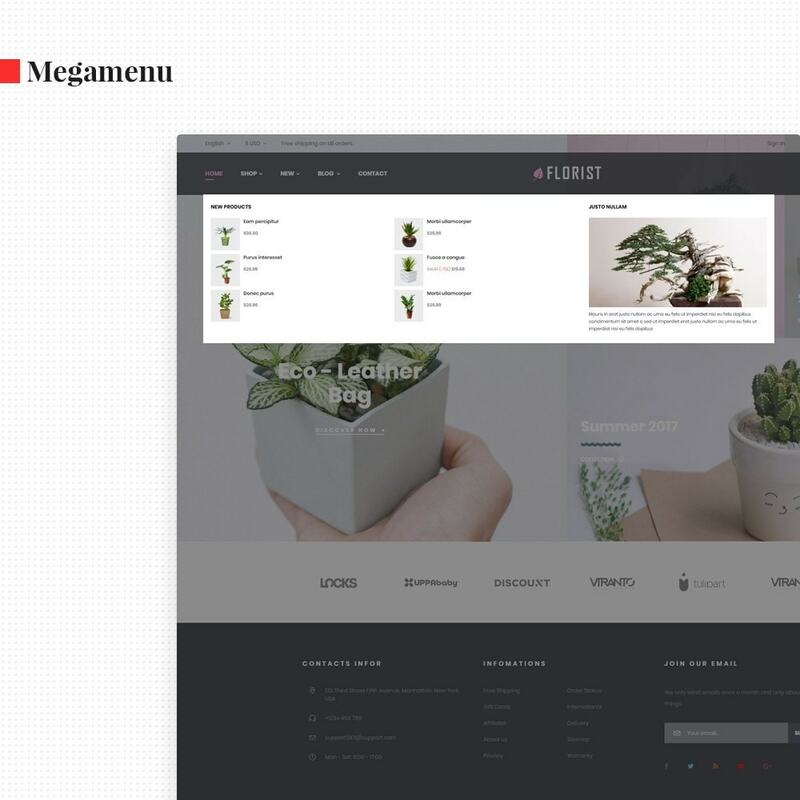 Leo Florist is a wonderful theme. 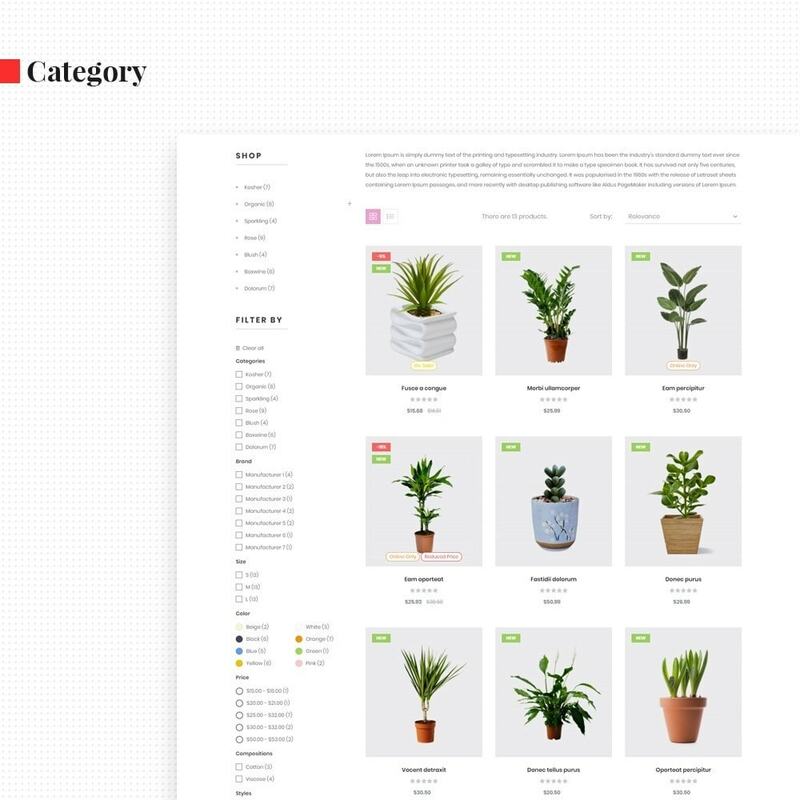 It is designed for diversified commodities as bonsai store and multiple stores. 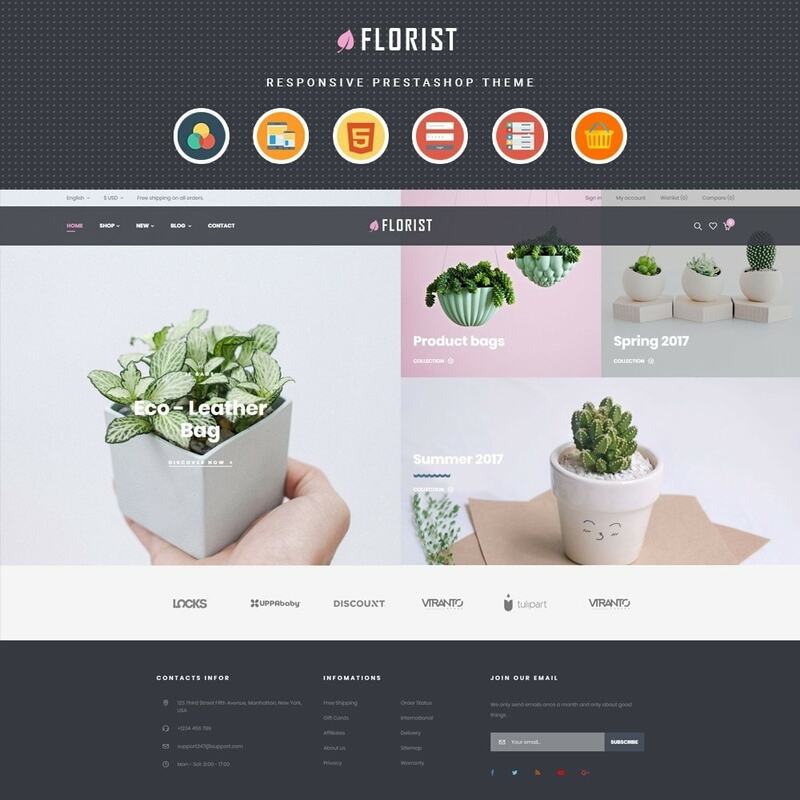 Leo Florist is suitable for any e-commerce sites. 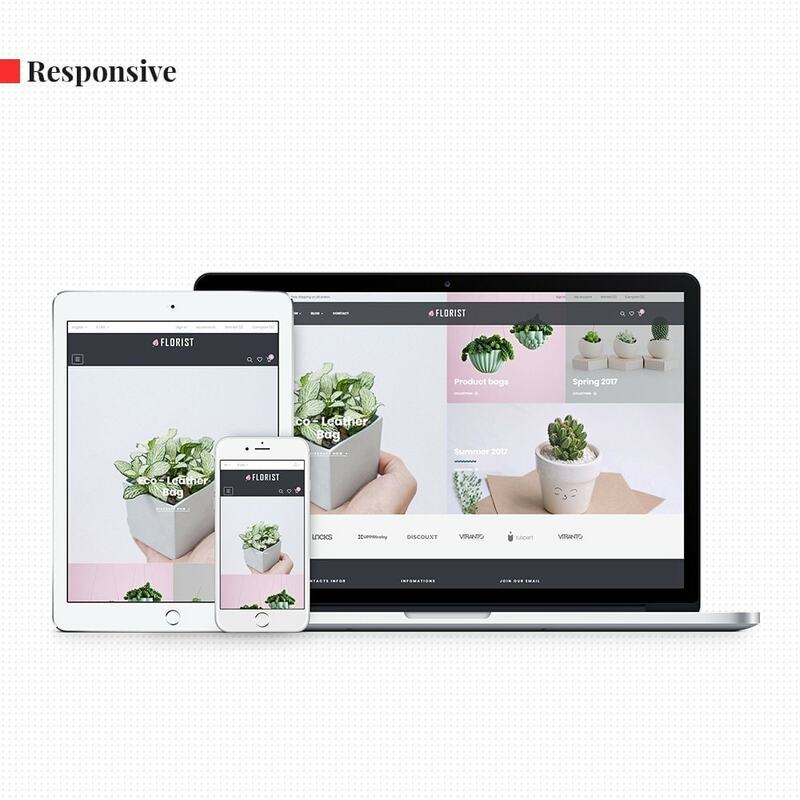 The most striking feature of this 1.7 Prestashop theme is the simple, newfangled and compact design. 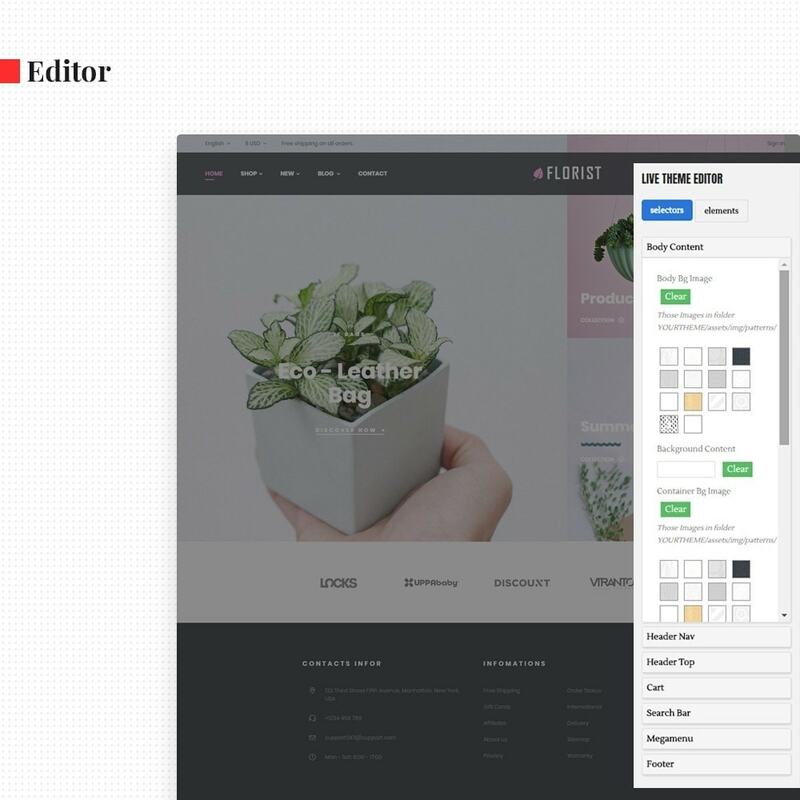 With Leo Florist Prestashop theme, your online store’s interface is just like a table calendar, which is very friendly with neat and well-structured layout. 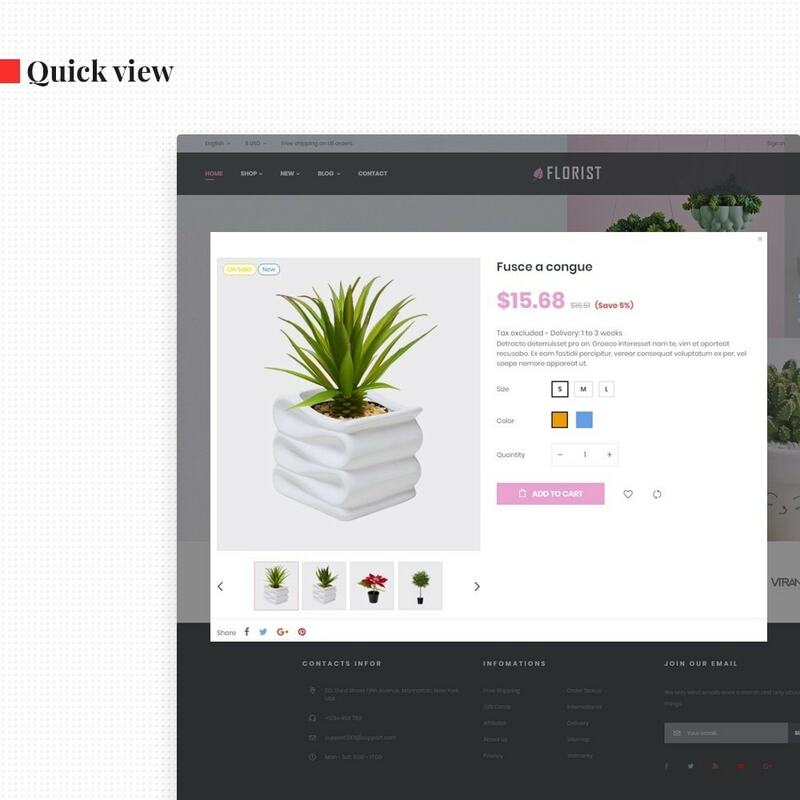 The homepage is in full-width style, mainly using images to speak out the topic or hot trend products of your online store. 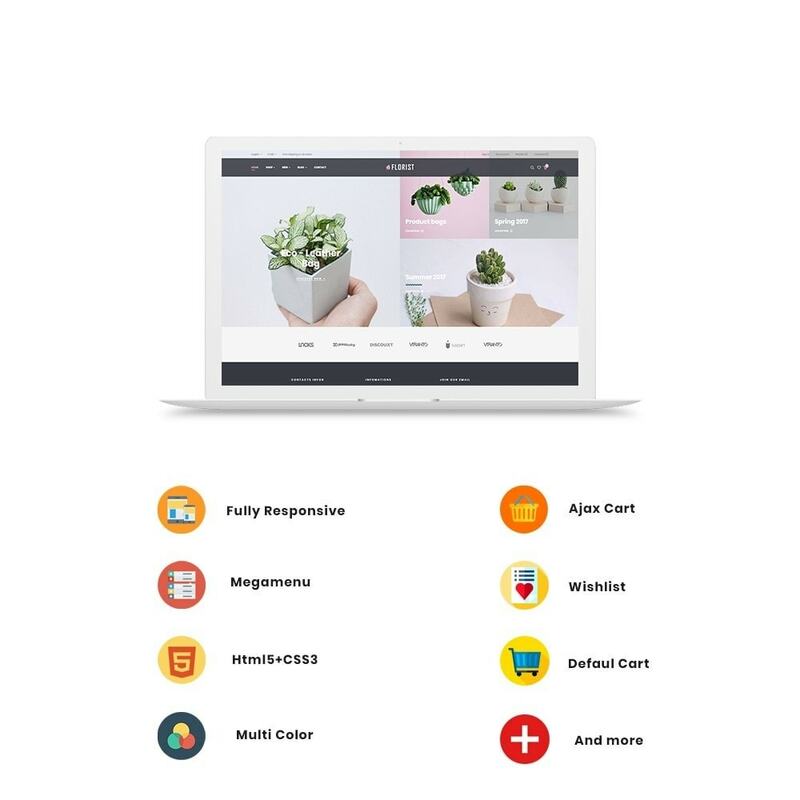 The Header Nav with crystal background and Currency & Language module shown right from the page top will make things convenient for clients to change language and currency. Also, the header main with powerful Megamenu in dropdown style, you can add images, videos or direct links to pages. 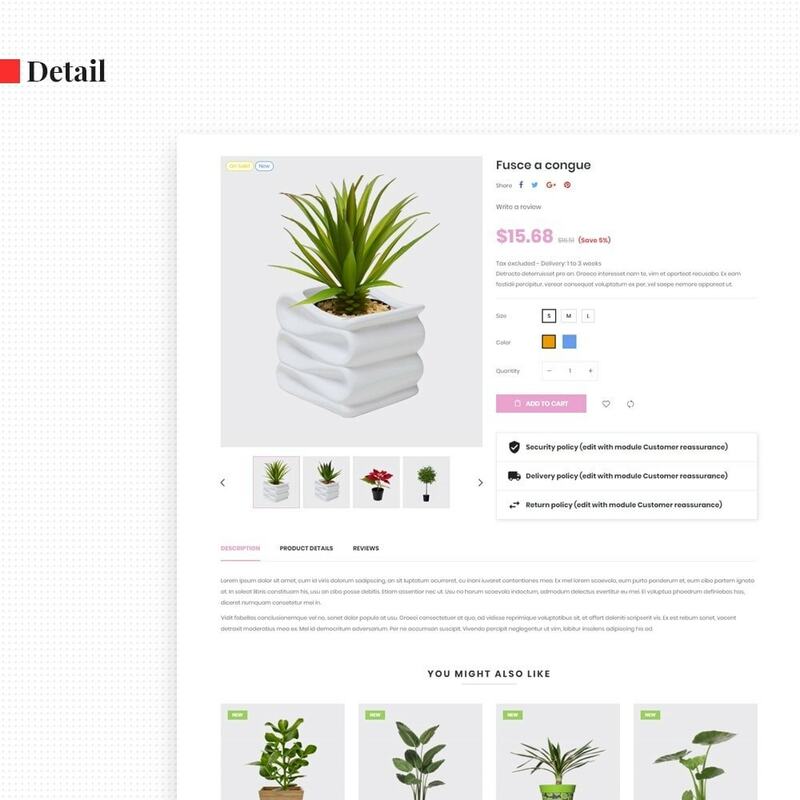 Thanks to Product Search module, that searching for a desired product or item on page become easier than ever. The payment is also handy just by one click on Cart – the Ajax Cart that follows you on any page. 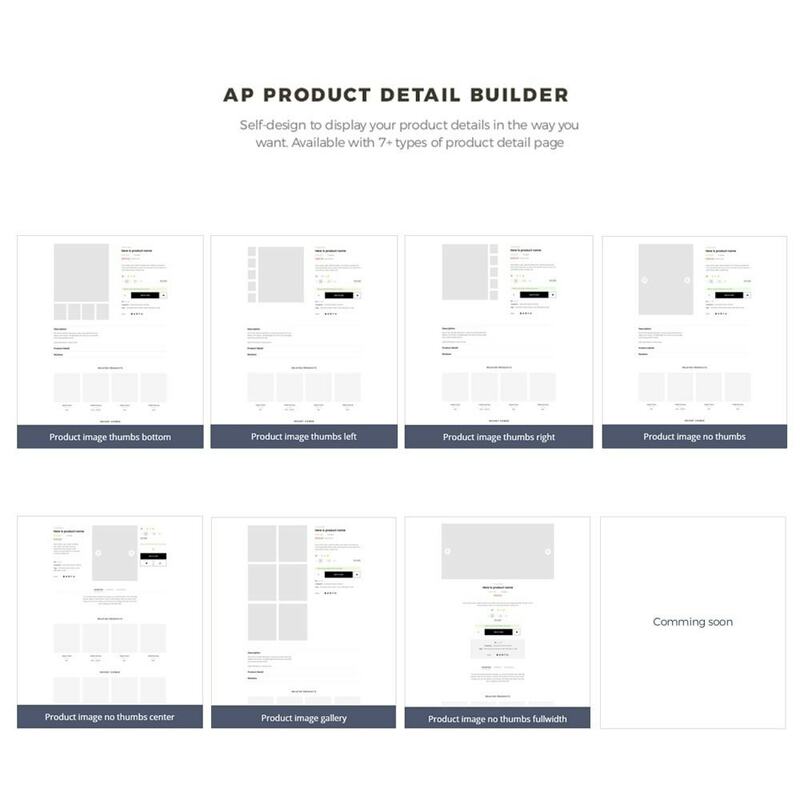 The detail Category page and multi-functioned sidebar will save time for your customers in finding the products. Blog page with novel design associated with strong Blog module, you can self-design to any layout style you want. Besides, you can collect comments or feedback from your customers for each blog for reference and update.